I went through this phase in high school where I read a metric ton of Stephen King novels -- crappy ones -- like Carrie, and Cujo, and Needful Things -- and I hated them all. I decided then, at 17, never to give him another minute of my time since there were a billion other books I wanted to read, and up until yesterday, I kept that vow. My wife, unlike me, is a slavish King fan. She's got every book of his (and Bachman's) in hardcover, paperback, and audio, and King is the only author to claim that honor in our house (sadly). She keeps casually trying to get me to read him now and then but I remain pretty stubbornly determined to ignore him -- until now. In light of the R.eaders I.mbibing P.eril (RIP) VI reading challenge and the little things that make my wife happy, I relented and agreed to read a Stephen King she picked for me. She chose Lisey's Story. This is a long way of introducing my FridayReads for this week. Rather resentfully, I have to admit I'm really, really, really enjoying Lisey's Story! It's creepy but I'm really digging the exploration of marriage and companionship, plus novels about writers always get me. 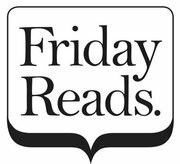 So, what are you reading this Friday? Is there an author you've sworn off? I haven't read much King, but am hoping to read Under the Dome really soon. That one is a huge door-stopper, so I am going to have to set aside some time. I do have Lisey's Story, and lent it out to a friend who never gave it back, so I will have to see about tracking it down! I am reading Becoming Marie Antoinette, and relishing it. It's so much lighter than some of the other stuff I have been reading! I haven't read one Stephen King book and I'm somewhat ashamed of that, considering he has been a prominent author for quite awhile. His latest 11/22/63 sounds really good and I'd like to start with that, but a part of me thinks I should try something more "classic" first. I've heard his Dark Tower series is amazing. 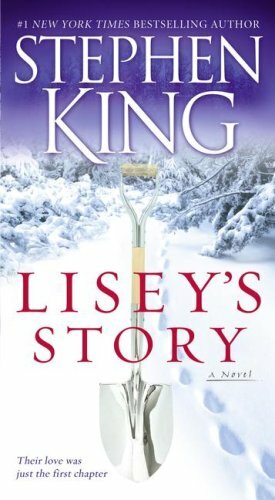 Hi Audra--I was too scared of a lot of Stephen King's books, but I did enjoy Lisey's Story! You might also like his Full Dark, No Stars (4 short stories, but with him, it really is more like 4 novels--very, very good!). I am currently reading Daughters of The Witching Hill by Mary Sharratt! Have a great weekend! @Heather: Yes -- his books are bricks, aren't they? This one is 600+ pages -- a bit daunting, but it reads fast. So glad you're enjoying Becoming Marie Antoinette -- perfect light reading (-ish, of course, given the course of her life) -- but not as grim as some of the stuff you've been reading recently! @Brenna: My wife *adores* the Dark Tower series -- I'm def not going to start that because it's not quite my speed but I'm really digging Lisey's Story. It's good! I would dissuade from his early 'classics' as I found them a bit cheap and vapid -- his more recent stuff is rather rich! I used to read a lot of King and I really liked a lot of his past books. Then I kind of lost interest and recently have begun to want to read his books again. I have Lisey's Story on my shelf. I should pull it out and read it. I've read couple of his books years ago. I thought they were ok but that was all. Maybe I should try his books again someday. There isn't a certain author that I have sworn off but I DETEST "chick" novels. Anything written about a woman in the corporate world or modern day life is so uninteresting to me. Oh, yick, I really have never been a horror or suspense fan and I have always been (ahem...) deathly afraid of King. Glad you're off to scout him out, though! I read loads of King novels in the 80's and then stopped, until this past year (Duma Key) very good -- believe it or not I am enjoying him once again. Haven't read Lisey's Story, but hope you like it. Like you, I went through a phase where I read and read Stephen King books, and I still love his books until now. The one writer I stay away from like the plague is Nicholas Sparks. LOL. I can't wait hear what you think about Lisey's Story. Yay that she made you read it . I haven't sworn off any authors but I've never read King so... :-) we'll see! happy friday! I am anxious to read your review of this, Audra. I gave up on King because I'm too wimpy. But a couple of recent reviews make me think I should try him again. Yeah! I'm plowing through Salem's Lot and loving every second of it and I was just like you - I read one story a million years ago that I didn't like and I denied his writing existence in my reading world. It's all changed this week and I'm the better for it! I'll add Lisey's Story to the docket now! Wow, this is a story I have not read by King...I'll have to find a copy after I finish reading IT with Anna. IT was and has always been my favorite King novel. Oh, and I forgot to mention it might be because there is a writer in it.